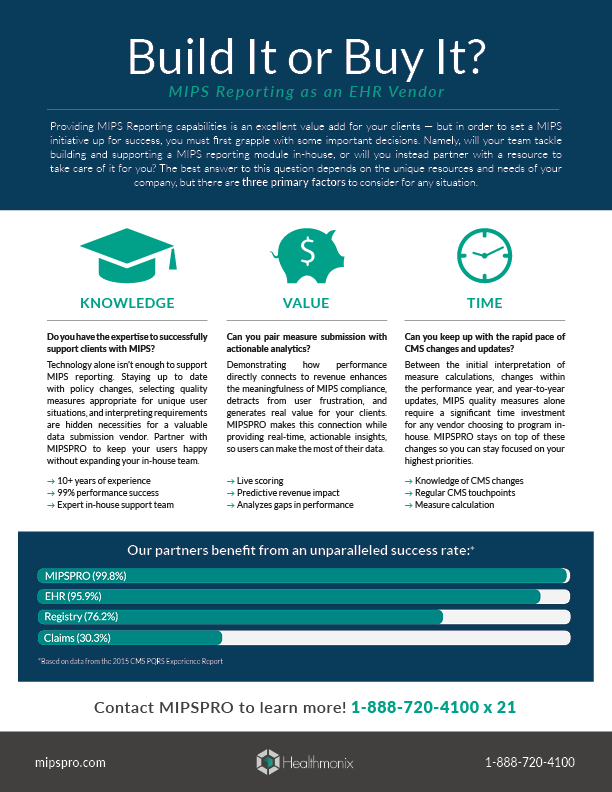 but should you tackle building a MIPS reporting module in-house, or find a partner to take care of it for you? Knowledge — Do you have the expertise to successfully support clients with MIPS? Value — Can you pair measure submission with actionable analytics? Time — Can you keep up with the rapid pace of CMS changes and updates?